According to Snow Badua, the replacement of Curtis Stinson is on his way to the Philippines. He is expected to arrive tomorrow morning. His name is Donald Sloan. 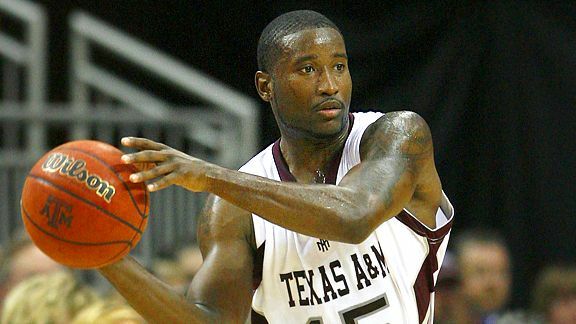 He was a former NCAA Division 1 college basketball player who played for the Texas A & M.He stands about 6'1 1/2''. During his college days, he averaged 17.7 points, 3.6 rebounds and 2.3 assists per game. He's a scoring point guard and he can also play the shooting guard position. The only negative thing that I can see for this young stud is his age. He's just 23 years old. Hopefully his veteran teammates in Ginebra can guide him well. There's no question that he can play as what I saw in this highlight clip of his. he's sharp, surely he'll contribute great.. as fast as a bullet in this video... =) go gin kings! WIN THE FIGHT tom..